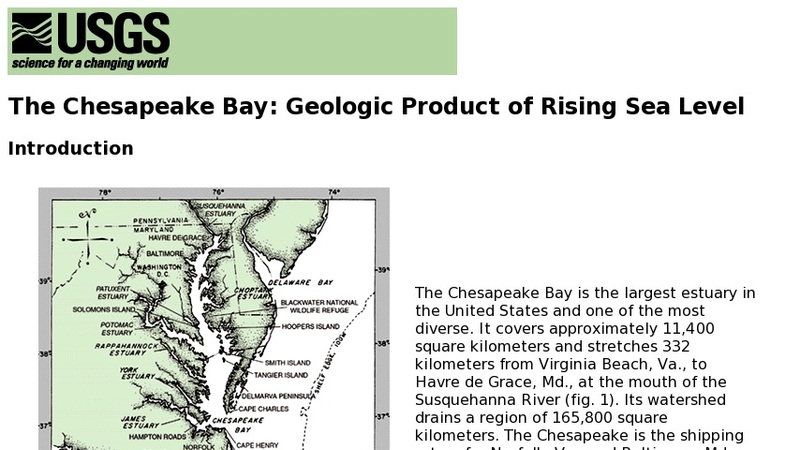 Information on the Chesapeake Bay, the critical issues for its management and restoration, recent dissolved oxygen and SAV trends, and the USGS Ecosystem Response Project. Site includes maps, figures, and links that supplement the project explanations. Website also explores the direct effects of the Bay's changing characteristics.